2010-08-17: Vortex86MX technical support web page craeted. DM&P x86 Semiconductor is proud to provide the Vortex86SX/DX x86 Microprocessor, which is based on MPU structure. It is the x86 SoC (System on Chip) with 90nm process and ultra low power consumption design (less than 1 watt). 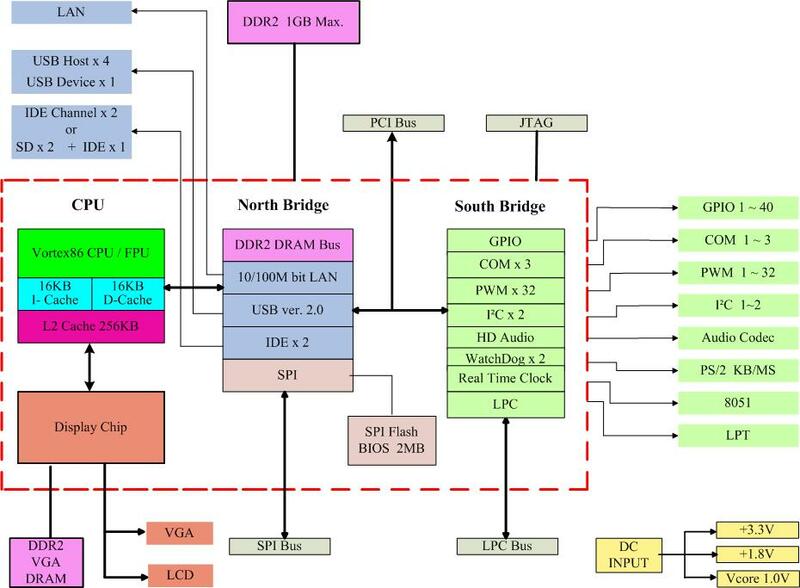 This comprehensive SoC has been integrated many features, such as various I/O (RS-232, Parallel, USB and GPIO), BIOS, WatchDog Timer, Power Management, MTBF counter, LoC (LAN on Chip),JTAG etc., into a BGA packing single chip. The Vortex86MX is a high performance and fully static 32-bit X86 processor with the compatibility of Windows based, Linux and most popular 32-bit RTOS. It also integrates 32KB write through 4-way L1 cache, 256KB write through/write back 4-way L2 cache, PCI rev. 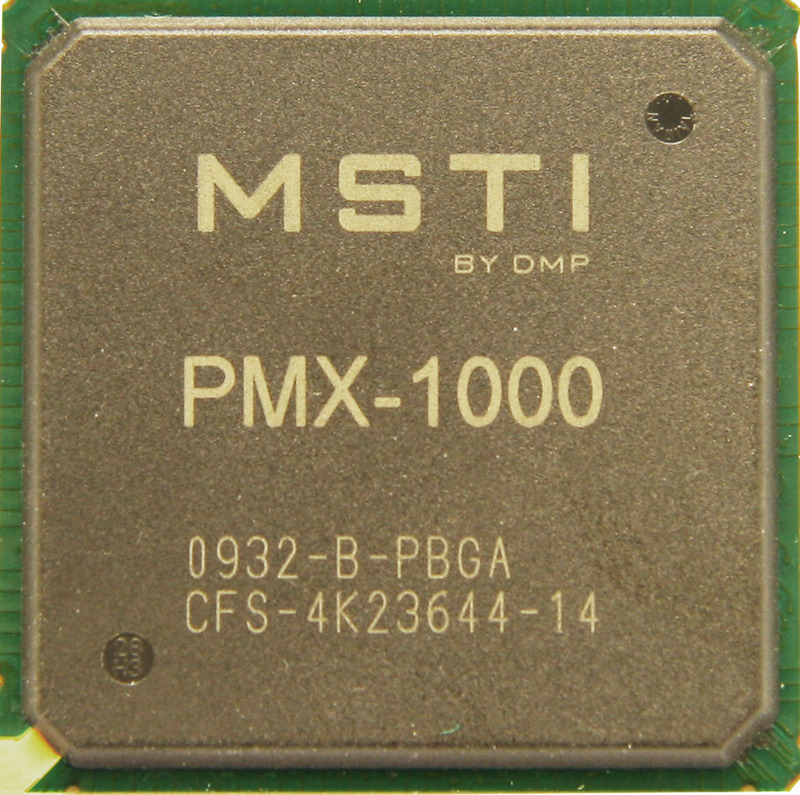 2.1 32-bit bus interface at 33 MHz, DDR2, ROM controller, IPC (Internal Peripheral Controllers with DMA and interrupt timer/counter included), Fast Ethernet, FIFO UART, USB2.0 Host and IDE controller within a single 581-pin BGA package to form a system-on-a-chip (SOC). It provides an ideal solution for the embedded system and communications products (such as thin client, NAT router, home gateway, access point and tablet PC) to bring about desired performance. DOS Ethernet packet driver for DSock. DSock is a TCP/IP library for DOS real mode and provides simple C functions for programmer to write Internet applications. There are a lot of example codes in it: BOOTP/DHCP, FTP server, SMTP client/server, HTTP server, TELNET server, Talk client/server, etc. Update library to support printer port interface for Vortex86SX serials. Support Vortex86SX series and 8 serial ports. X-Linux image for Vortex86SX/DX boards. For more information about X-Linux, please visit http://www.dmp.com.tw/tech/os-xlinux/. Windows Embedded CE 6.0 BSP for Vortex86SX/DX/MX SoC. Please read Windows CE BSP note and Windows CE development note for more detail. This is our I/O DLL for embedded Visual C++ and .NET compact frame work. If you have any inquire, please feel free to contact E-mail: soc@dmp.com.tw.